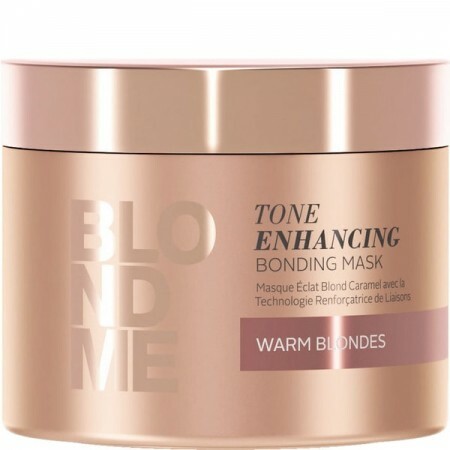 Schwarzkopf BlondMe Enhance Bond Mask Warm an intensive, repairing hair mask ideal for improving the internal structure of weak, damaged blonde hair. 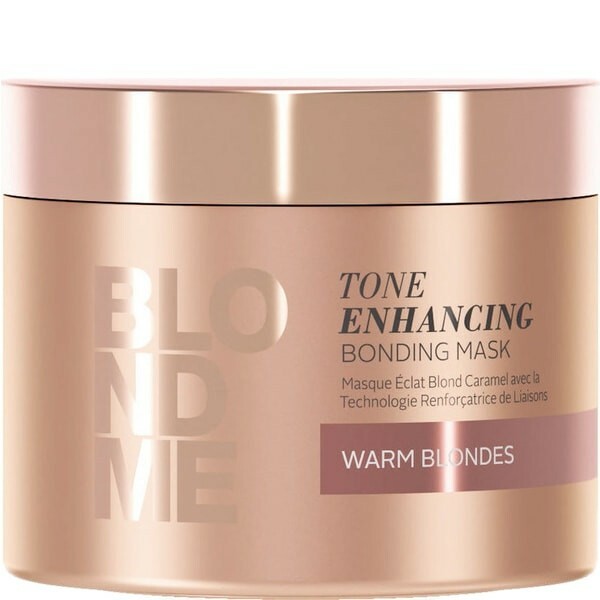 The Schwarzkopf Blond Me Tone Enhancing Bonding Mask creates new bonds within the hair fibres while softening, smoothing and conditioning for the perfect, shiny finish. Apply to wash, towel dried hair. Leave in for 5-10 minutes. Rinse thoroughly. Style as normal.